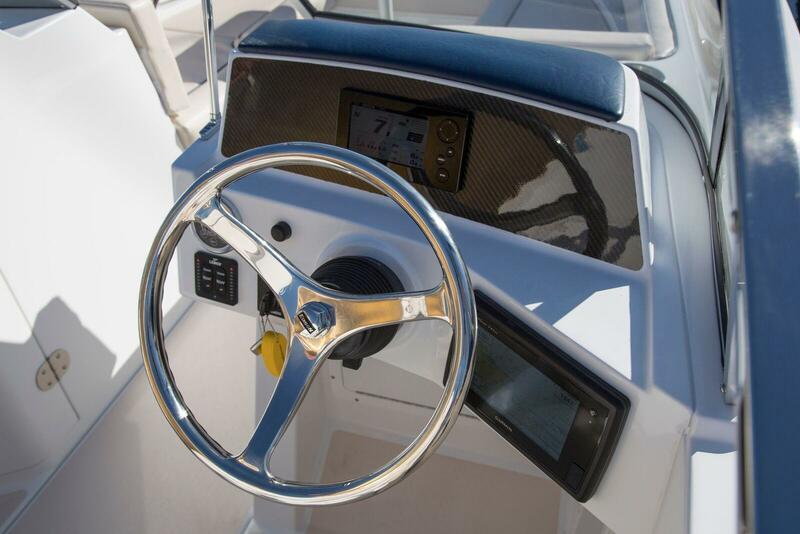 We have taken Doug Zurn's exclusive bow forward design to the next level, creating even more room for movement in the cockpit area and fostering an uncluttered feeling. 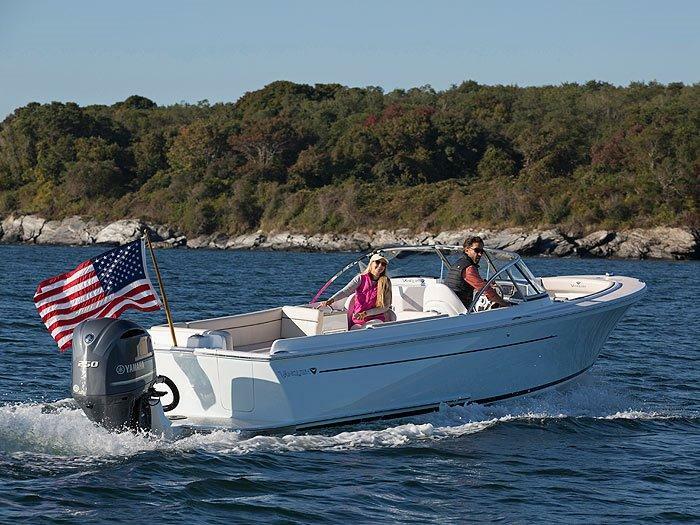 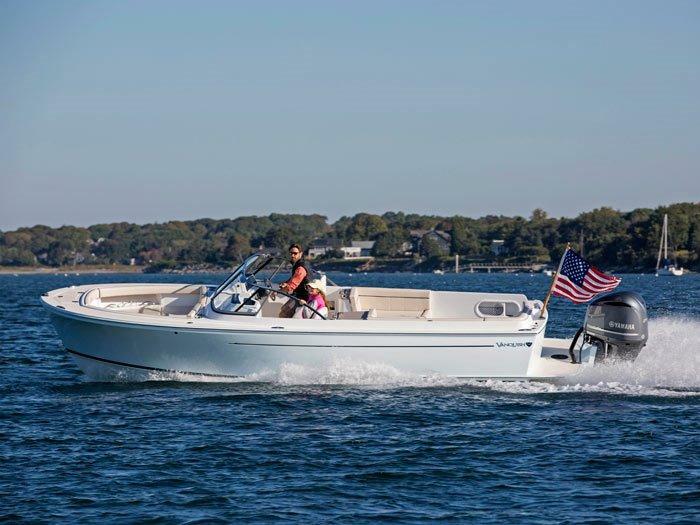 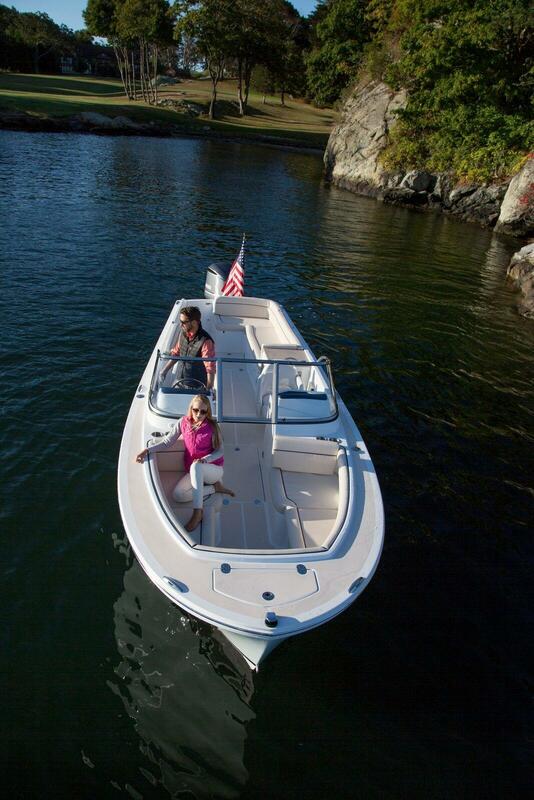 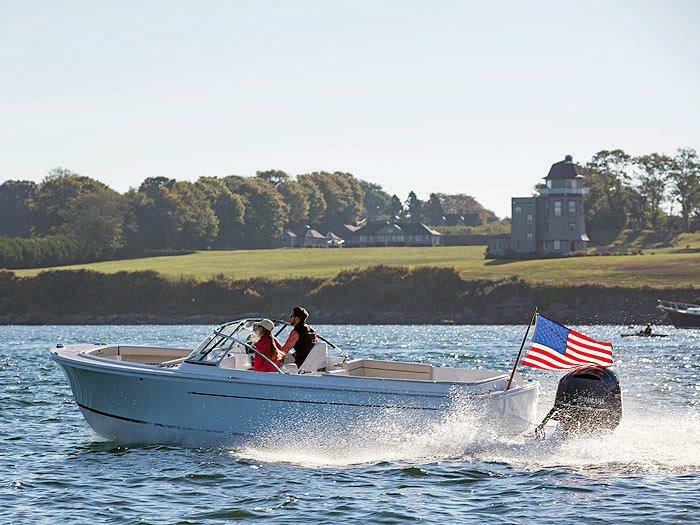 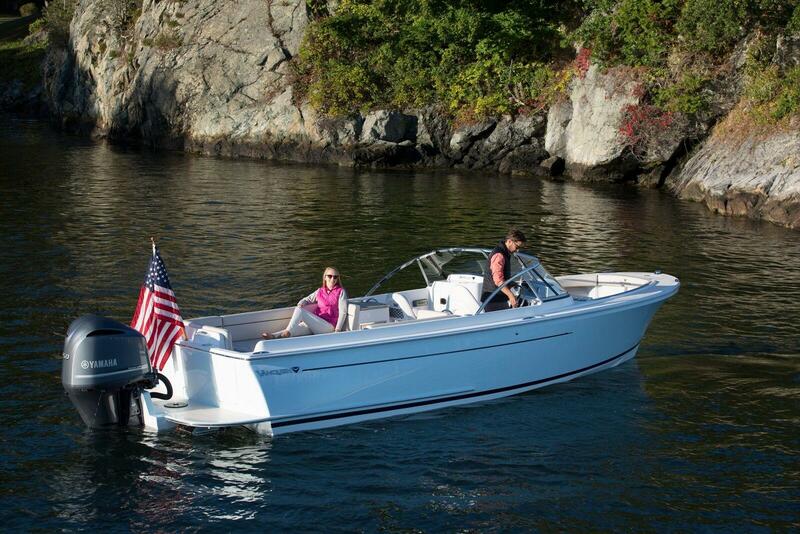 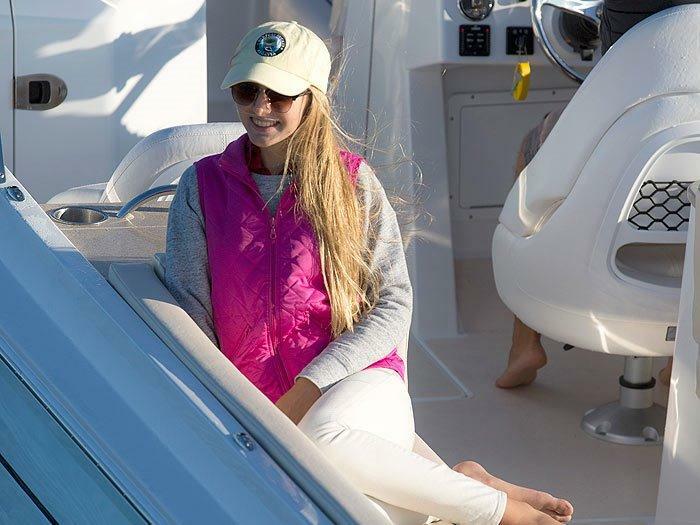 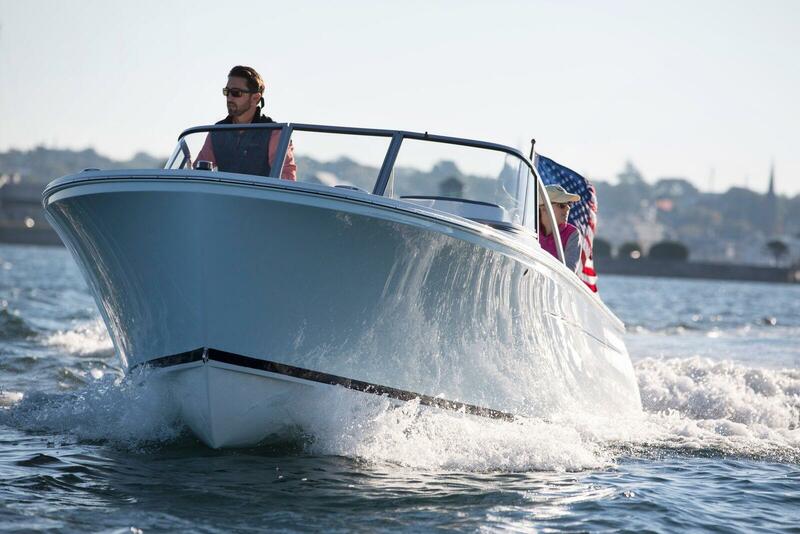 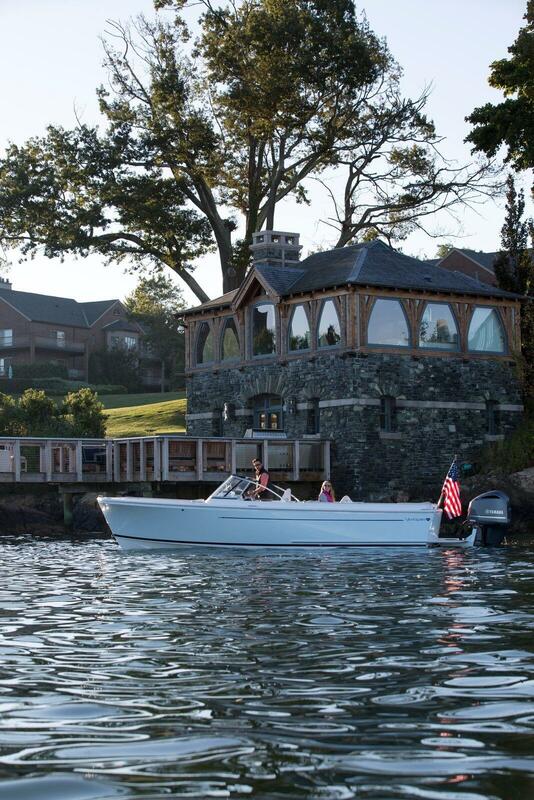 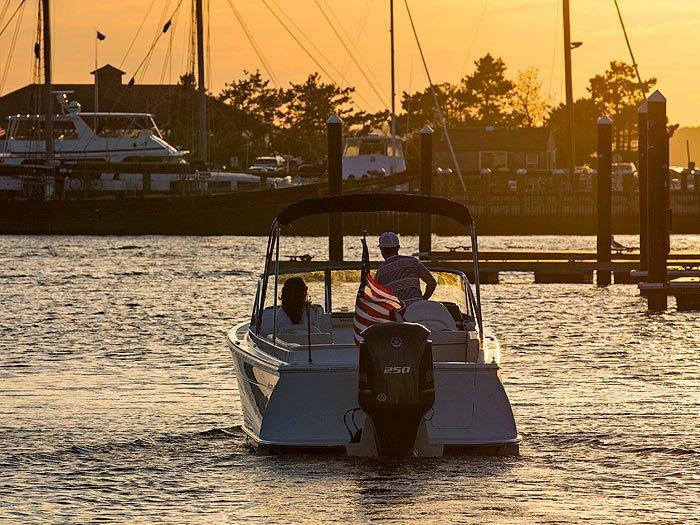 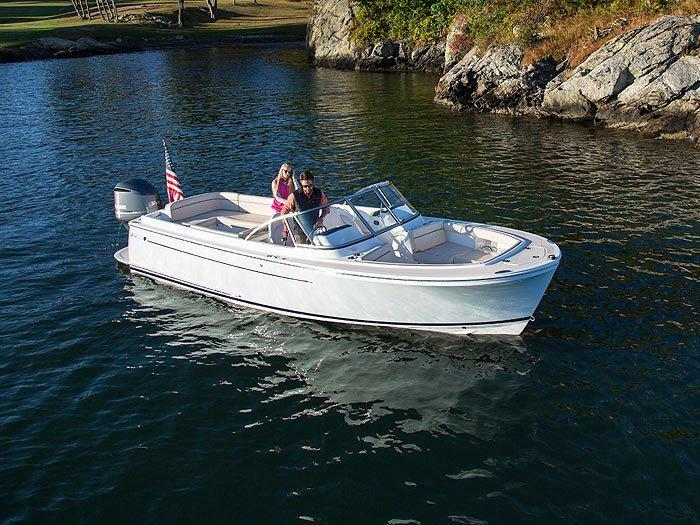 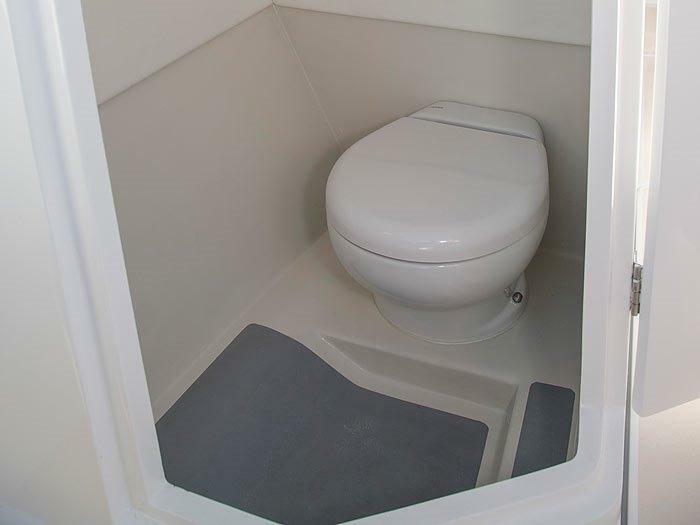 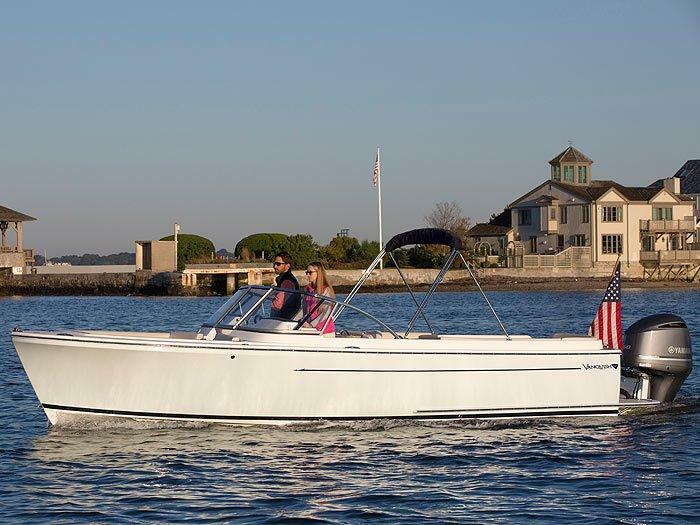 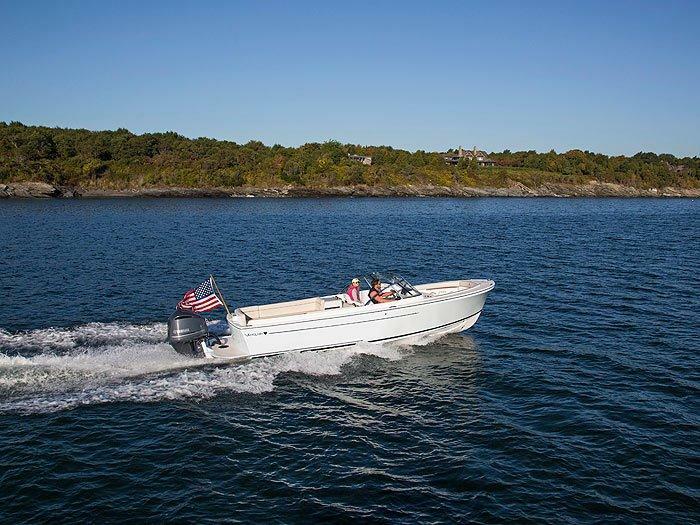 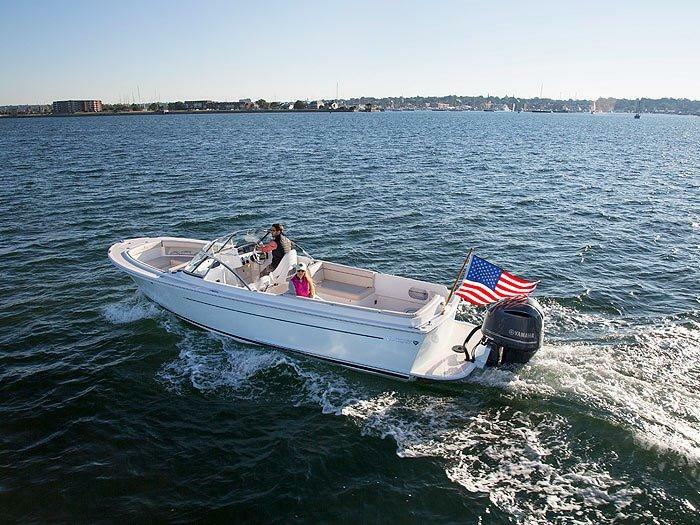 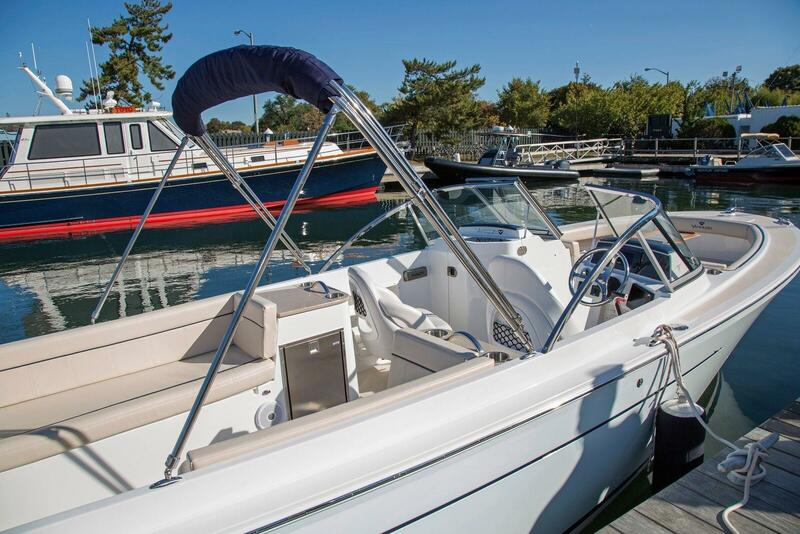 The cozy and inviting bow seating provides everything you need at your fingertips to enjoy a day on the water. 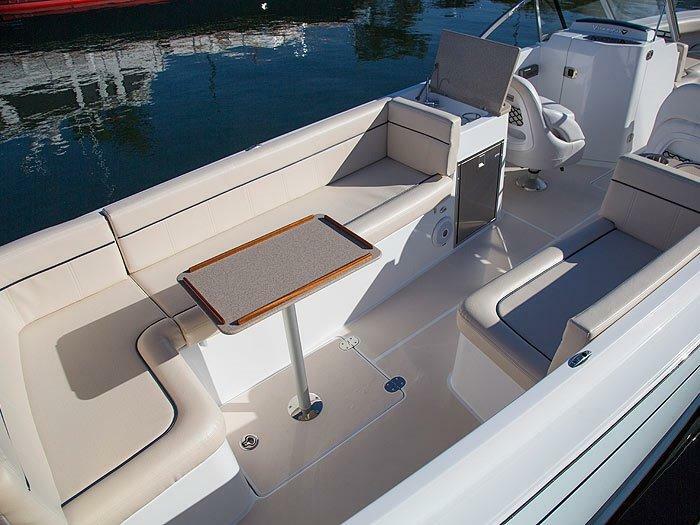 A large L-shape settee aft provides plenty of seating so no one is left behind. 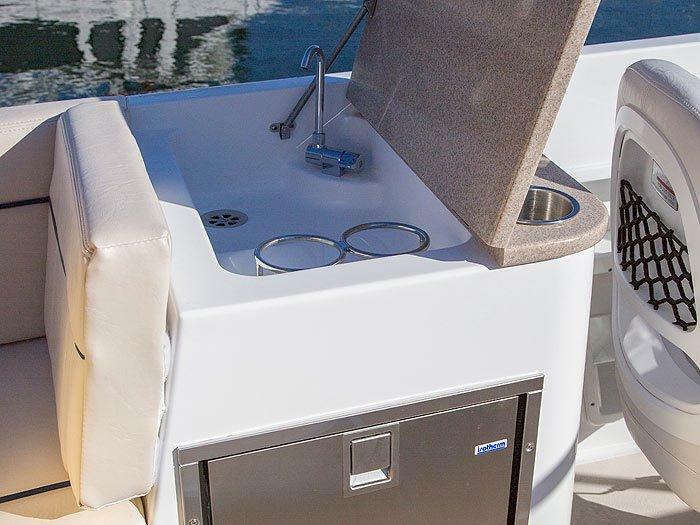 The integrated wet bar with your choice of sink or barbeque grill and the enclosed head under the port console ensures that the fun goes on all day. 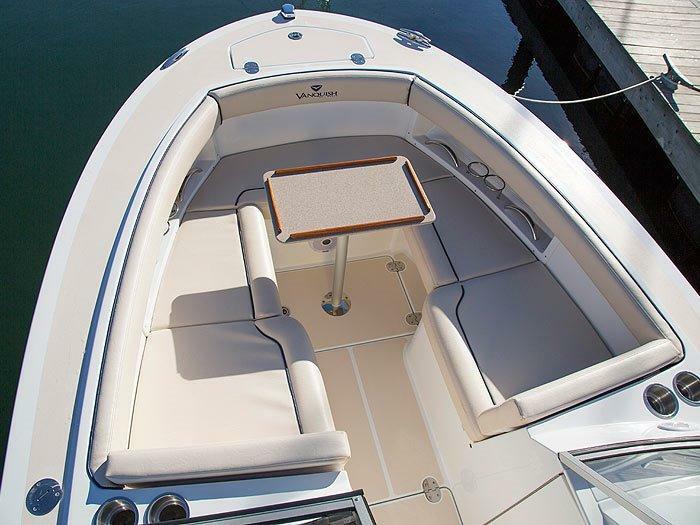 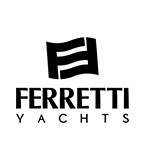 All these features built to our unwavering standard of construction slice through the waves on the famed Vanquish hull. 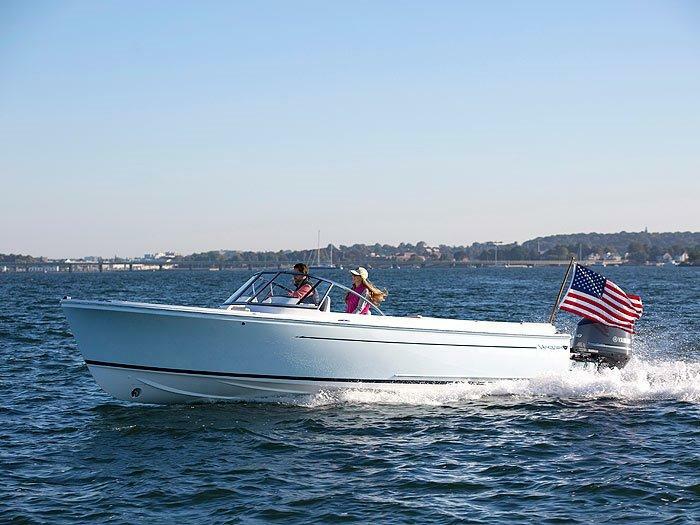 This is a boat that is truly in a class of her own.